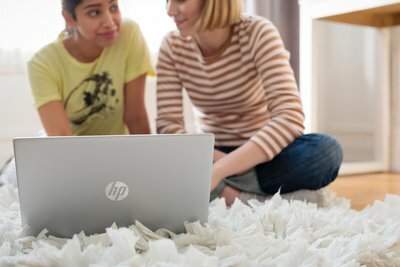 Designed to help you get things done, this HP Intel Pavilion laptop features a solid state drive and wireless technology. The 15.6" screen provides graphics in HD, and the portable computer is great for when you want to surf the Web on the go. HP laptop Pavilion has a convertible design and runs on Windows 10 Home. 15.6" full-HD screen with edge-to-edge glass and IPS technology. HP laptop Pavilion has a convertible design and runs on Windows 10 Home. Comes pre-installed with one year of Microsoft Office 365 Personal. 15.6" full-HD screen with edge-to-edge glass and IPS technology. Features LED-backlighting for a thinner, energy-efficient design. HP Pavilion laptop has an Intel Core i7-8550U processor. Multitask with confidence. 256GB solid state drive provides enough storage space for your files. Solid state drives are generally lighter, quieter, more cost-efficient and may consume less energy than the traditional hard drive. Features Wireless-AC (802.11ac) technology lets you quickly connect to the Net without cables. Digital media card reader supports multiple formats. Features 3 USB 3.1 ports for wired connections. Front-facing TrueVision HD webcam with integrated dual-array digital microphones lets you video chat with family and friends online. Stays powered for up to 10 hours and 45 minutes. Battery life will vary depending on the product configuration, product model, applications loaded on the product, power management setting of the product, and the product features used by the customer. As with all batteries, the maximum capacity of this battery will decrease with time and usage. All your activities become easier and faster than before with the latest Quad-Core Intel® Core™ i7 processor and advanced Intel® UHD integrated graphics. Watch videos, edit photos, and connect to family and friends with all the power you need to get things done. 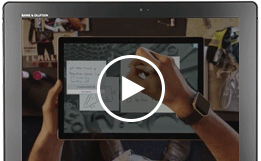 Write, draw, and edit on a device with full support for Windows 10 Inking features. Thanks to Microsoft’s Universal Pen standards, any Universal Pen accessory will let you rewrite your PC experience. 2 Actual formatted capacity is less. Portion of internal storage is reserved for preloaded content. 4 Intel® Turbo Boost performance varies depending on hardware, software and overall system configuration. See http://www.intel.com/technology/turboboost/ for more information. 5 Weight and system dimensions may fluctuate due to configuration and manufacturing variances. 6 Shared video memory (UMA) uses part of the total system memory for video performance. System memory dedicated to video performance is not available for other use by other programs. 7 Features may require software or other 3rd party applications to provide the described functionality. Internet service required and not included. 11 ENERGY STAR and the ENERGY STAR mark are registered trademarks owned by the U.S. Environmental Protection Agency. 12 EPEAT® registered where applicable. EPEAT registration varies by country. See www.epeat.net for registration status by country. 13 Internet access required and not included. Availability of public wireless access points limited. 14 Call 1.877.232.8009 or www.hp.com/go/carepack-services for more information on Care Packs available after 90 days.